The BCS Certificate in Modelling Business Processes (MBP) course provides delegates with an overview of the principles and techniques of business process modelling. Analysing organisations from a process viewpoint is now seen as a key skill for a business analyst. The analyst should be able to model the organisation from various levels using a modelling technique and notation. A clearly visualised organisational model is a powerful tool for making effective change. 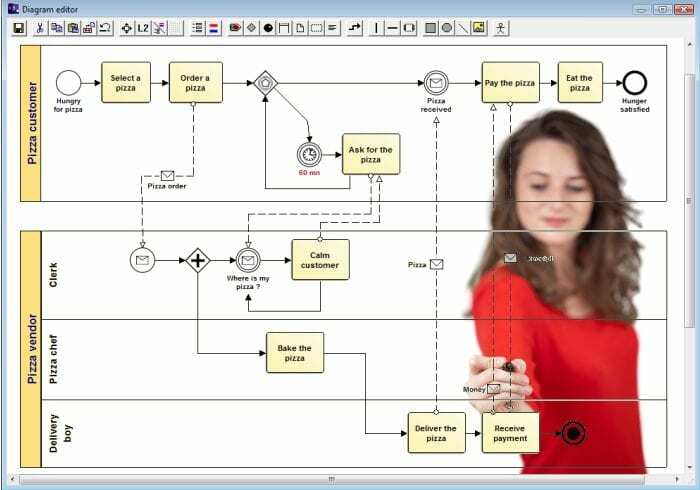 We use the BPMN standard during the course. This syllabus has an accompanying examination. This course is given by trainers with industry experience. The course is suited to candidates who are starting their business analysis career as well more seasoned professionals looking to brush up on the basics or achieve internationally recognised certification. Delegates are supplied with course notes containing detailed information about business analysis techniques and providing references for further reading. Identify key components to modelling – including actors, triggers, events, process flows, tasks. The certificate is relevant to anyone requiring an understanding of Business Analysis. Business analysts, business managers and their staff, business change managers and project managers and also those hoping to acquire the BCS Diploma in Business Analysis should attend. The BCS Business Analysis Foundation Certificate is one of the four modules comprising the Diploma Programme. Prerequisites:There are no course prerequisites but work experience in the field would useful to an overall appreciation of the applicability and relevance of the content.